Genuine spare part, original manufacturer spare part, safety spare part, equivalent quality spare part, adjustable spare part. Everyone has their own specialised vocabulary… But how can one get to grips with this when you’re not an expert? At CBM, we have been offering our customers original spare parts for the past 30 years. This has been our guiding principle, it provides our customers with the guarantee of better control of maintenance costs. But what exactly are we talking about? What’s hidden behind this term – and in particular for the European market? Let us try to shed some light onto this topic, using simple terms, and let us put forward some clear answers to dispel any doubt. 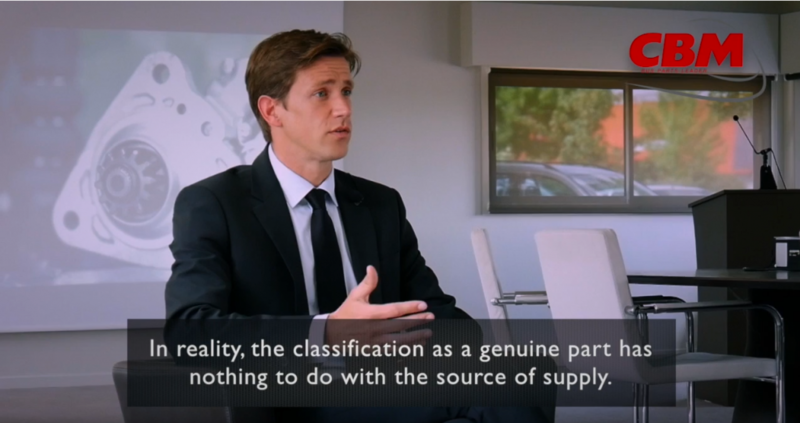 Maître Benjamin Bourgeois sheds some light on the rights and the duties of the manufacturer. The European regulations are very clear on the matter: the concept of an “original spare part” is no longer an indication of the exclusive source from a vehicle manufacturer, but rather a quality standard. Maître Benjamin Bourgeois, Attorney at the Court specialising in issues related to the regulation of car distribution and spare parts, sheds some light on the rights and the duties of the manufacturer.